Surrounded by mountain escarpments, rainforests and more than 90 kilometres of uncrowded beaches, with plenty of sand to roll out your towel, Coffs Coast certainly has some breathtaking scenery. Here are four unique vantage points to take it all in. 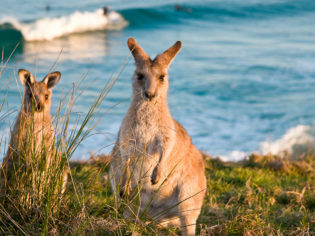 Iconic to Coffs Coast, Muttonbird Island is a place all visitors just have to put on their to-do lists. This Nature Reserve is home to thousands of wedge-tailed shearwaters, also known as muttonbirds, which migrate from South-east Asia in late August to breed and raise their chicks over summer. It’s also a very sacred and significant site to the local Gumbaynggirr people who call the island Giidany Miirlarl. You can hear about their Dreamtime stories on a guided discovery tour with an aboriginal guide. Be sure to take the one-kilometre-return walk to the lookout platform at the top of the island; from here you’ll have incredible 360-degree views of the ocean, beaches, harbour, marina, city and mountains. From June to November you may even spot humpback whales! Perched on a ridge 310 metres above Coffs Harbour, Sealy Lookout is a beautiful spot for views over the city and the coastline, located in more than 400 hectares of dense rainforest and eucalypt forest. It’s a wonderful place to bushwalk, with the opening of the new Gumgali Track. This incredibly special 400-metre trail tells the story of the Gumgali, a Gumbaynggirr Dreaming story, through art, sculpture and sound, a collaboration with local artists. Take a picnic to enjoy along with the view once you arrive at the top. Located 15 kilometres north of Coffs Harbour, Look At Me Now Headland is accessed by an easy trail. From the lookout, you are afforded views of the ocean, South Solitary Island and its lighthouse. 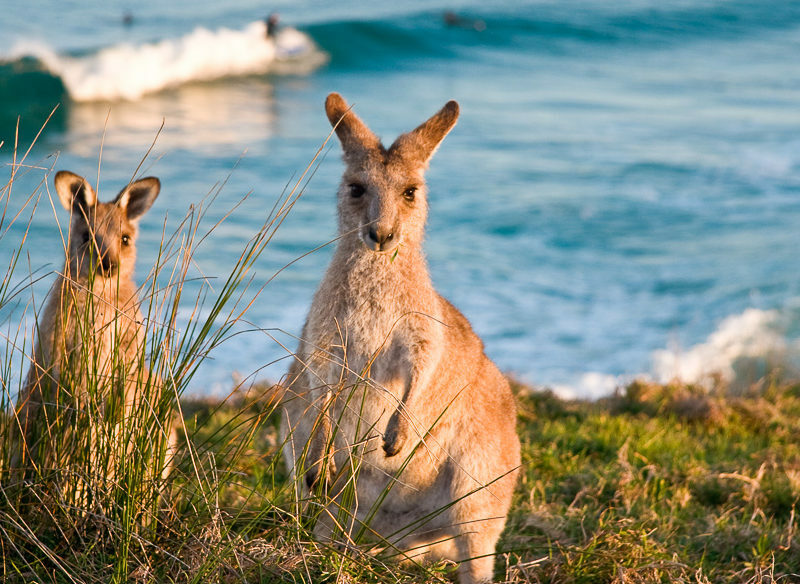 You may not have the headland to yourself, though, because eastern grey kangaroos can often be spotted grazing and resting here. It’s also a place to spot white-bellied sea eagles, ospreys and brahminy kites; bring your binoculars! Located on the edge of an escarpment, this lookout is one of the most spectacular vantage points on the east coast. Its views stretch over the Bellinger Valley and New England National Park, taking in the Great Dividing Range, Pacific Ocean and, on clear days, right out to Kempsey some 100 kilometres away. Located among farmland, the lookout has an interpretive display and picnic tables so you can linger a little longer.